If you are in a constant race with time or you have better things to do than cleaning your home or rented flat, you can use our top-notch cleaning services. We offer many of them, implemented by skilled and experienced cleaning technicians. Oliver’s Cleaners offers professional cleaning of ovens, carpets, sofas, rented flats, houses, offices and rooms after celebrations and renovations. We can ensure the hygiene of your home and working place providing the cleaning which you need one off or regularly. 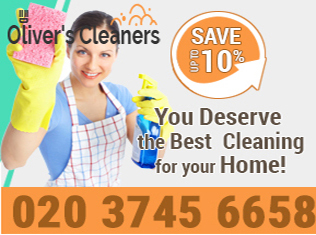 The cleaning services that we offer in Hampstead NW3 are available every day in the week. You can use our call centre, booking form of online chat to schedule the cleaning services which you need in Hampstead NW3 and they will be done at the most suitable time. We offer many different cleaning services including domestic and office cleaning, end of tenancy, spring, after builders, oven cleaning and sanitising of carpets and sofas. Use our professional help to keep the healthy atmosphere in your home, rented and commercial property. We can prepare your quote according to your requirements and include in it as many cleaning services as you need. Our cleaning services are performed by experienced, professional and trained cleaners who use powerful and modern cleaning equipment. With their help the cleaning procedures are completed faster and the results of them are very professional. You will receive a big discount on your price if you order more services. Use our call centre to book the cleaning services which you need for your property, located in Hampstead NW3 and we will provide them at affordable rates.